More than three million homes are now expected to be in foreclosure by year’s end, a million more than even the most dire predictions. In another worrisome sign for the housing crisis and US economy, home foreclosures are surging to record levels and are likely to get even worse in the months ahead. Foreclosures—a multi-stage process that begins with a homeowner falling behind in their mortgage payments and can end with them losing their home—soared 71 percent in the third quarter, to an average of more than 8,500 homes a day. On top of that, lenders are taking possession of delinquent properties at twice the normal rate, according to RealtyTrac, which has one of the industry’s most comprehensive databases. That means more than one million homes are likely to be repossessed by the end of the year, which is roughly one-quarter of all US homes for sale. And it could rise to one-third of all homes for sale, which would push already distressed home prices even lower as lenders scramble to unload the properties. “In my wildest dreams I couldn’t have imagined that the market could have gotten this much worse, as bad as it was last year,” says Rick Starga, senior vice president of RealtyTrac. Why is this happening—especially when the last thing most lenders want to do is repossess a house? For one thing, banks are overwhelmed with the sheer number of troubled mortgages. That's made it more difficult for them to work out loan modifications—essentially reducing the interest rates and even the principal to help people keep their homes. Many mortgages also have second liens attached to them, requiring negotiations with third parties. But the main problem is that so many mortgages have been grouped together into securities and sold off to investors worldwide. These mortgage-backed securities typically carry terms that severely limit the homeowner's ability to renegotiate a mortgage. So the banks that typically service the mortgage—collecting payments from homeowners and passing them on to the investors—risk being sued if they deviate from these terms. And those servicing the loans often make more money in foreclosures than in renegotiating a loan, giving them even less incentive to help out homeowners. The downturn in real estate continues. See video at left. “It basically floods the market with distressed inventory which makes it that much more difficult for prices to hold, and sort of feeds into this cycle, and as prices fall, you put more people in danger of foreclosure,” explains Starga. For that reason, there is growing talk in Washington of having the government step in to help stem the rise in foreclosures. On Tuesday, GOP presidential candidate John McCain told CNBC that the government's top priority should be to buy up these troubled mortgages and allow people to stay in their homes. Click here to watch the interview. "The administration is not doing what I think they should do, and that's go in and buy out these bad mortgages, give people mortgages they can afford, stabilize home values and start them back up again," McCain said in a live interview with his vice presidential running mate, Sarah Palin. Sheila Bair, head of the Federal Deposit Insurance Corporation, has also urged help for homeowners, as have members of Congress from both parties. Some states have actually frozen foreclosures, but this offers only temporary respite, as Massachusetts recently found out. 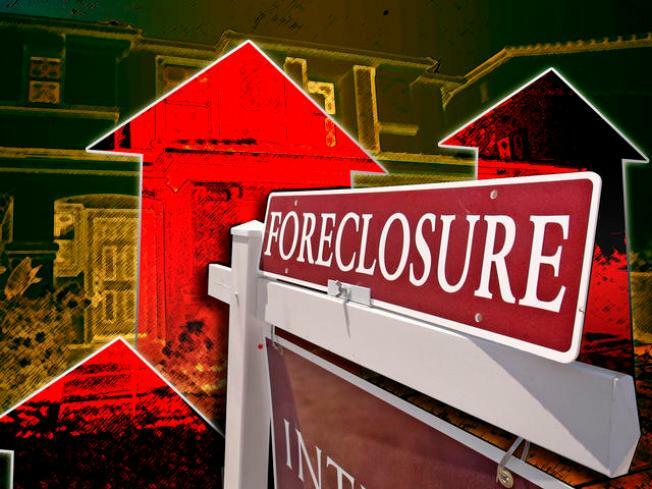 After imposing a 90-day notification period before foreclosures can be initiated, a quiet summer was followed by foreclosures shooting up 465 percent in September. Under pressure from Washington, the mortgage industry has stepped up efforts to avoid foreclosures and the industry’s voluntary effort, HOPE NOW claims to have helped avoid 2.3 million foreclosures. But critics say this significantly overstates actual on-the-ground help. “These efforts are in no way keeping up with foreclosures,” says Julia Gordon, policy counsel at the Center for Responsible Lending, a non-partisan research institute based in North Carolina. She says foreclosures are outpacing averted actions by four to one. There are also some who argue that renegotiated mortages don't always solve the problem.